Romantic original Spain. 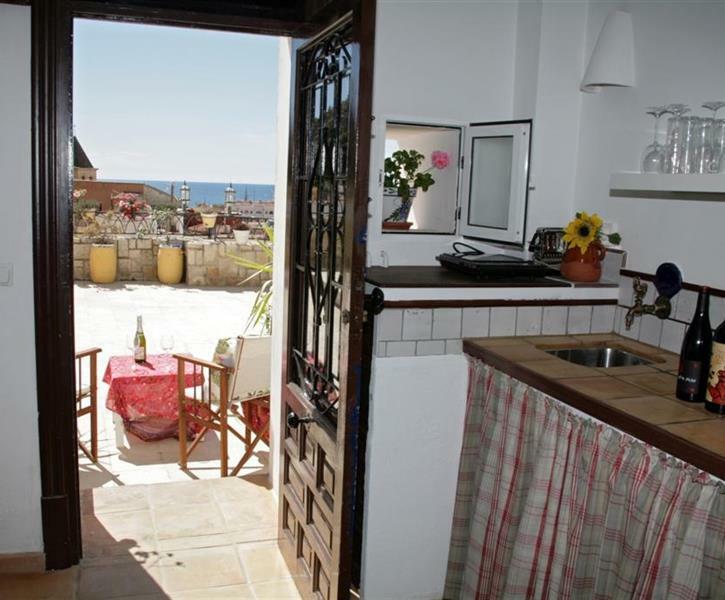 Newly restored guest apartment with wonderful views over mountain, town and the Med. Privilegely situated in charming Santa Cruz, the Perl of Alicante. We had a fantastic 5 days in Alicante staying in this apartmentin the old town of El Barrio Santa Cruz. It was a wonderful experience living amongst the local community which provided an insight into the Spanish lifestyle. The cosy apartment is well appointed and perfect for a couple. It is situated within walking distance (beware there are lots of steps!) of a wide range if excellent tapas bars, shops, the local market, beaches and other sights. The outdoor terrace provides stunning views to the Mediterranean and is great place to relax with a glass of wine in the afternoon. Our host Lollo (& Santo) were xtremely helpful in providing an explanation of the apartment and the local facilities and even invited us to a local tapas bar on arrival. We would highly recommend this apartment. Studio is small, but beautiful and charming. It was equipped (towels (for the beach also), sun umbrella, air condition, little kitchen). The location is perfect if you want an authentic Spanish vacation, local friendly people willing to help you (although I don't speak spanish). We could walk to the shops and great restaurants trough small streets full of flowers. Excellent!